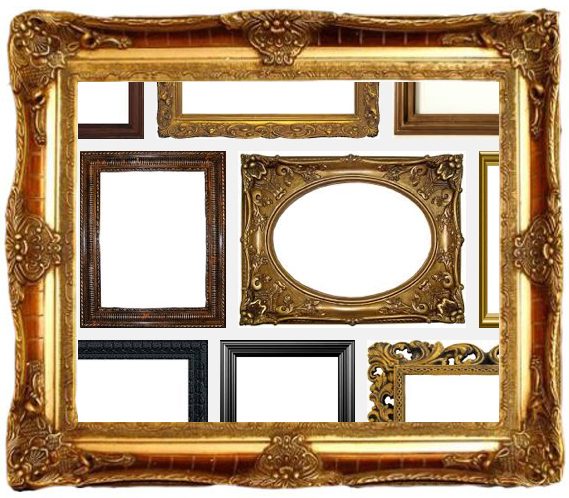 What Kind Of Old Junk Are You Framing? If you lived alone in the forest or a cave long enough, you would have little use for what others thought of you. Your appearance (hair/clothes) would not matter. Your status, Facebook likes, net worth, kind of car you owned, etc. would be meaningless. So would subjective reflections such as “am I worthy?” or “what do they think of me?” All of that would eventually fall away. Your thoughts would be centered on immediate needs of food, shelter, water, and safety. If an impending storm loomed, you would focus on gathering berries to ensure you had something to eat the next day. If you didn’t gather enough, you would make a mental note for the next time a similar situation occurred. You are born with a clear mind, an empty box. It was void of self-created beliefs, stories, and patterns. As you grow up, you selectively filtered and categorized meaning based on the depth of the emotional impact. You created meaning. Everything that followed was built upon the previous with variations and mutations. Naturally you can see how the input affects the outputs. How powerfully our childhood experiences are. As an adult, thoughts and actions are framed by the subconscious. Until we sort it out, we’ll be ruled by other people’s stories and fears instead of one’s own inner guidance. One of the keys to happiness is understanding your subconscious framing and dismantling it. – Notice what is the previous thought before the anxiety, nervousness, or fear arises. Delve into that truth. There are only rare instances that a real tiger, lion, or bear is in your presence and can harm you. – Remind your central nervous system you are safe and taken care of by writing down five gratitudes per day. – Increase your appreciation of others. This will open your heart center and connect you deeply to others. – Daily meditation. 20 minutes. It can be continuous or 20 individual one minute sessions. There is no “right way” to meditate. Just sit quietly and you’ll naturally discover the pathway. – Notice your breathing. Breathe deep from your abdomen instead of your chest. – Pick someone who is doing what you are inhibited to do and use their playbook. Take the emotion out and literally copy them.